Resorts World Manila (RWM), as the country’s ultimate entertainment and leisure hotspot, continues to innovate with added attractions that shall thrill its 1.5 million members and guests. With what to build, which shows to create, what food to serve and which shops to open, RWM is expanding with the help of its fans and followers. Let the thrill begin by letting Resorts World know what thrills you and have it posted on the country’s first giant Twitter board. 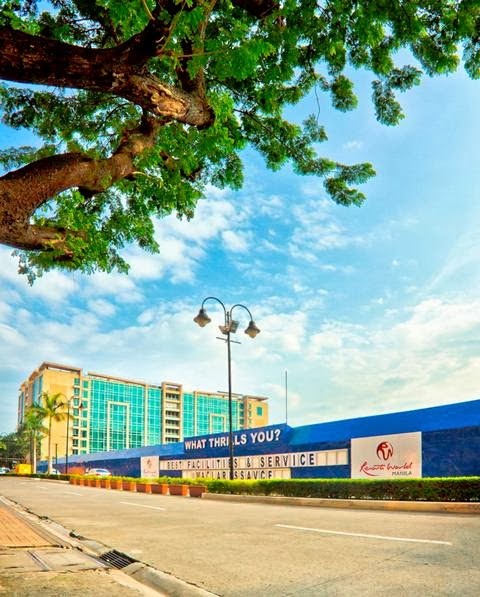 If you happen to pass by Newport Boulevard, the street right in front of Maxims Hotel, you will notice a giant board displaying a tweet from a guest. This is the “Tweet of the Week” which answers the question “What Thrills You in Resorts World Manila?”. It’s randomly selected from among a thousand responses on Twitter. The owner of the tweet will not only see his Twitter handle on the giant board, he will also win a movie treat for four at the Newport Cinemas. Who would not be excited to be the star in the country’s first and only Twitter billboard? Joining is really simple. In not more than 30 characters and spaces, tweet @rwmanila your answer to “What thrills you in Resorts World Manila?” Add the hash tag #WhatThrillsYou. You can tweet as many responses and as creative as you can. By Friday afternoon of each week, a qualified tweet response will be randomly chosen and will be displayed on our Twitter board the next day. The coolest thing is, the “Tweet of the Week” will be posted there for one whole week. Don’t miss this revolutionary merging of digital and traditional media that only the country’s favorite entertainment venue can do. Help Resorts World Manila continue being world-class. Tweet @rwmanila #WhatThrillsYou! For real-time updates, like www.facebook.com/rwmanila, follow @rwmanila on Twitter and @resortsworldmanila on Instagram. You can also visit rwmanila.com for more exciting offers, events and promos.